I read this article and found it very interesting, thought it might be something for you. The article is called What IT’s all about in Healthcare and is located at https://www.patientkeeper.com/blog/2018/11/29/what-its-all-about-in-healthcare/. 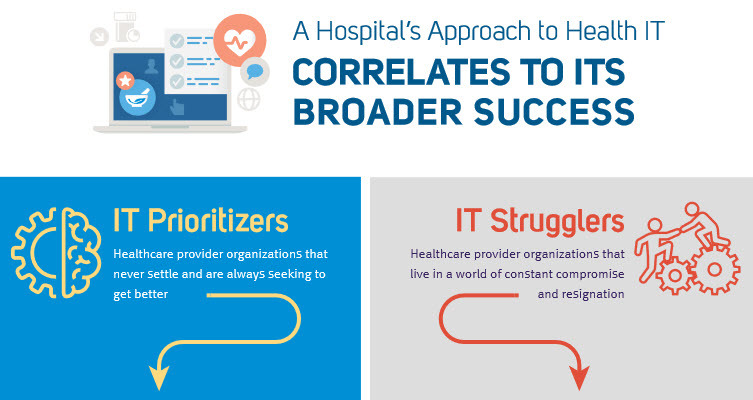 Among hospitals and medical practices, their approach to IT correlates to many other factors that relate to an organization’s overall success. It’s not just using computers that matters – after all, nearly every hospital and practice now has an EHR system – but rather how the technology is deployed, optimized, and regarded strategically that makes the difference. 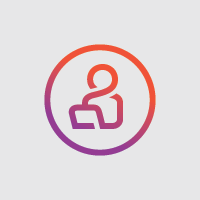 Research sponsored by PatientKeeper found that organizations that highly value IT (we call them “Prioritizers”) fare better than those that relegate IT to a tactical to-do (we call them “Strugglers”) in a range of dimensions that affect providers and patients. For example, at a time when nationally nearly half of physicians feel burned out, Prioritizers report nearly twice the rate of physician satisfaction improvement as Strugglers. Prioritizer organizations also are more likely to retain their physicians, which is a key to organizational stability. And there’s a demonstrable ripple effect from provider satisfaction to patient satisfaction. We found Prioritizers 50 percent more likely than Strugglers to report improved patient satisfaction. Equally telling, Prioritizers said their reduction of medical errors and overall improvement in patient care were significantly greater than the levels Strugglers claimed. Perhaps not surprisingly, the general outlook of these organizations also is quite different. PatientKeeper’s research found that 86 percent of Prioritizers are excited about what’s to come in the years ahead, while only 36 percent of Strugglers were optimistic about the future – a 50-point difference that represented the single greatest disparity in our survey. Our conclusion: healthcare providers that thoughtfully invest in and optimize their IT resources are simultaneously investing in their physicians’ and patients’ health and success.